A succinct observation from a Dr about the NHS. 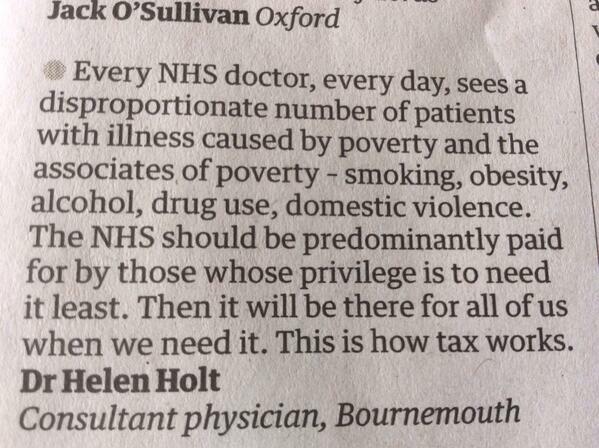 A succint observation about the NHS – and how taxes should work. I suspect some of the proposed reforms (or 10 pounds from every person) is because of our collective apathy towards tax. Taxes certainly are needed for the NHS, but we seem to not want to hear that. But also we need more empowerment of workers. Previous: Previous post: How can big data help my supply chain?